Today’s ‘Hot Cocktail of Winter’ is the Cinnamon Stick Cocktail. The aroma of cinnamon from this drink fills up the senses but doesn’t overpower the flavor of the drink at all. 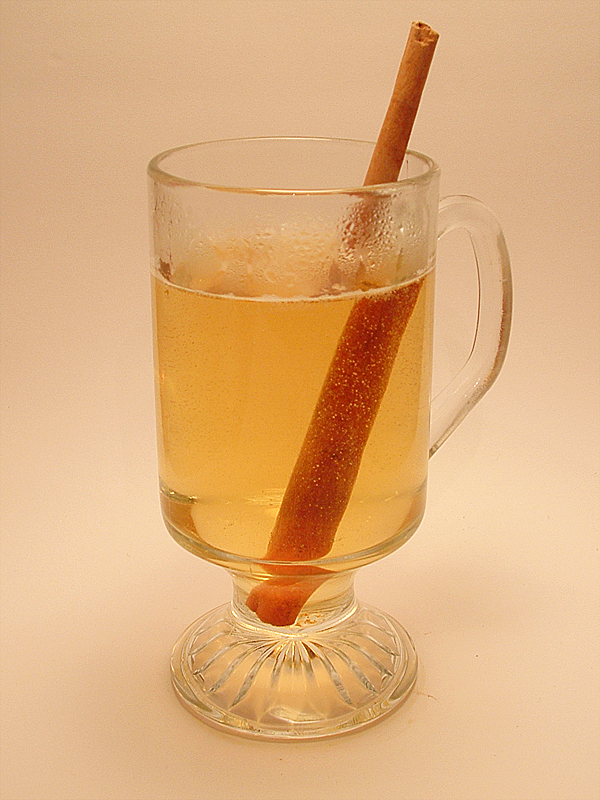 The taste of cinnamon arrives as a warm, subtle aftertaste within the warm apple cider. The taste of the spiced rum arrives on the tongue shortly after the cinnamon has faded away a bit. This drink is a great way to warm up your entire body and fill your senses with cinnamon aroma after a cold winter stroll. Cinnamon comes from the inner bark of the cinnamon trees. The trees are cut back allowing small shoots to develop at the base of the stump. The outer bark is peeled from these branches allowing access to the inner layer. This layer is removed and as it dries it curls into the cinnamon stick shape that we are familiar with. Fill a mug with hot water and sit aside for a minute. Heat up apple cider in a shallow sauce pan, remove from heat before it boils. Empty the mug and quickly dry the inside. Add the spiced rum and Goldschläger to the warmed mug, then pour in the hot cider. Garnish with a cinnamon stick.